New Delhi: News Corp. announced on Tuesday that it is restructuring its broadcast business in Asia into three business units: Star India, Star Greater China and Fox International Channels (FIC). 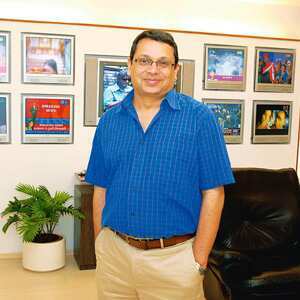 It added in a statement that as part of the restructuring process, Uday Shankar, chief executive officer of Star India has been given additional responsibility of Star’s sales and distribution offices in West Asia, the UK and US. He will now report directly to James Murdoch, chairman and chief executive, Europe and Asia and will also be responsible for managing the sales and distribution of all Fox-branded channels in India. Star India will henceforth manage sales and distribution of 19 News Corp. channels in India, including Hindi entertainment channel Star Plus. A senior media analyst who did not want to be named said, “This restructuring comes as an attempt to rationalize the operations of the organization that were overlapping in certain areas." Until now, the sales and distribution of some of these channels was being managed by the Hong Kong headquarters. “Star India will oversee Star’s international ad sales and distribution business with the US, UK and West Asian offices reporting to it. Star India will also manage ad sales and distribution of Fox-branded channels in India. In total, Star India will manage the sales and distribution of 19 channels in eight languages in India. The combined portfolio of channels provides scales and flexibility in bringing innovative solutions and adding value to advertisers," a Star India spokesperson said in a mail. FIC, which at present distributes Star India and Star Greater China in West Asia, will now have an enlarged role and will be responsible for the distribution of respective channels in Asia outside its home market. Star World, Star Movies and Channel [V] International will now also come under FIC, as will the Fox and National Geographic channel brands. In all, FIC will manage 37 channels across 17 brands. Commenting on the restructuring, James Murdoch said in the statement: “Since launching with only five channels in 1991, Star has grown in scale and has made valuable contribution to broadcasting in Asia. We are now reshaping a big, regional organization into three highly focused business units, each of which will be intensely competitive in their target marketplace." “While it was once natural to have a larger, regional headquarters, the company has now reached a scale in its key local markets where we are ready to empower the teams on the ground and move a number of functions to be closer to viewers," he added. News Corp. also announced that Paul Aiello, chief executive of Star TV, would step down at the end of the year. Mint has an exclusive content partnership in India with The Wall Street Journal, published by Dow Jones and Co., part of News Corp.